Prepare accompanying documents (like CV, trial result, testimonials, personal statement, evidence of financial viability, ECA record and additional recommendations/certificates) in a digital format for uploading. Fill up application form online. 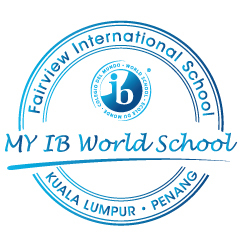 The selection and interview for The Fairview IB Diploma Scholarship 2013 will be held from 18th January 2013 & 19th January 2013. If you have any questions/queries, email drchianvincent@fairview.edu.my Or call Fairview International School at +60341420888.